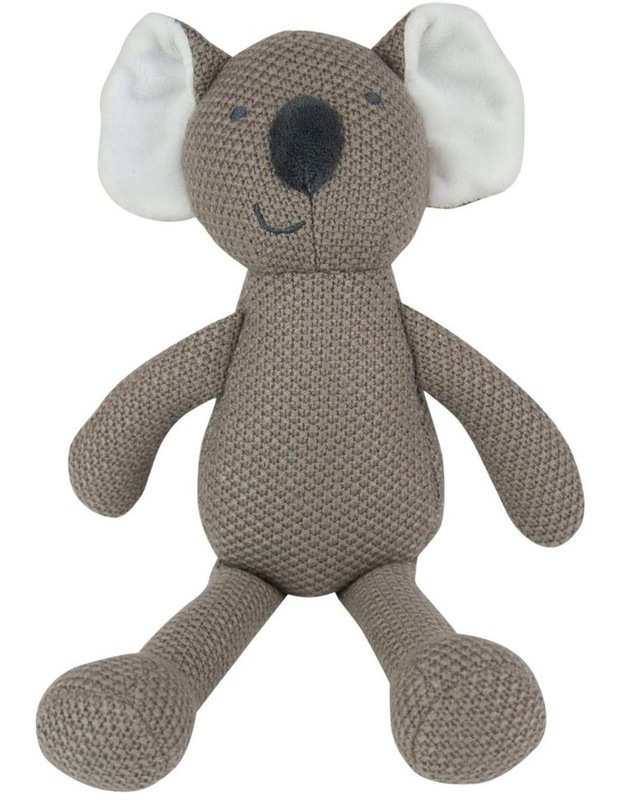 This cute-as-can-be Koala is the snuggliest of knitted friends (and a brilliant gift). This cuddly companion has a lovely soft textured knit to delight baby's senses, and a weighted bottom for sitting on the shelf amongst baby's favourite friends. The Little Linen Company has been providing babies with beautiful products for over 40 years.